Building in the new suburb of Throsby has begun, after the first blocks of land were auctioned off by the Land Development Authority in early 2016. At auction, the blocks achieved an average $108,000 more than their reserves, with location cited as the main reason for the fierce bidding. Throsby is just five minutes’ drive to the Gungahlin Town Centre and less than 15 minutes to the City. It is situated on Horse Park Drive, between Mulligans Flat and Goorooyarroo Nature Reserve, and has an elevated position with views towards Black Mountain and the Brindabella Ranges. After being given the green light to break ground, builders and developers are opening up their designs to the public for the suburb’s communal living precincts. 3 Property Group, who has invested significantly in Throsby, are releasing information about their four boutique townhouse developments (collectively titled Tempo) today. They were designed by local award-winning architecture firms, and comprise of 2, 3 and 4 bedroom town homes with large courtyard spaces. Slade Minson from Luton Projects, who is managing two of the four Tempo Collective developments, says, “Luton Projects is thrilled to be associated with 3 Property Group for the Tempo Collective. It’s fantastic that a developer has made such a big commitment to this premier location. The town homes (individually named ADAGIO, ALLEGRO, VIVACE AND ANDANTE) will feature 3 Property Group’s signature inclusions, such as their 3PUSH home automation and solar ready systems, along with energy efficiency ratings averaging 7.5 stars. 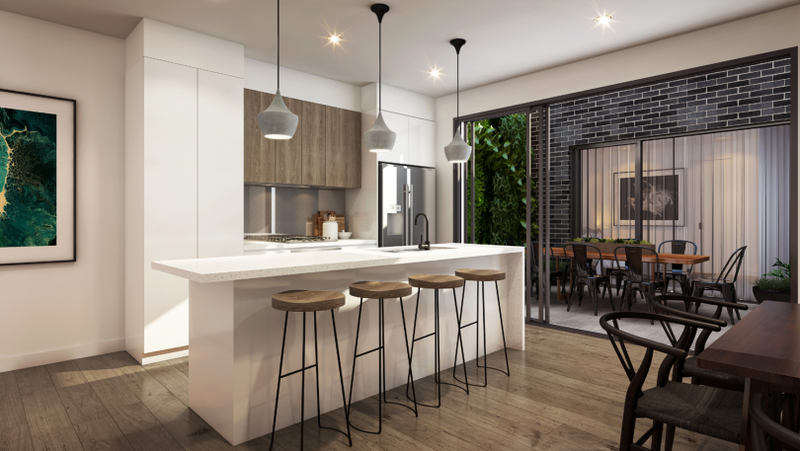 In addition, buyers of the ADAGIO town homes will have the opportunity to customise their interior (including kitchen, floors and joinery) with 3 Property Group’s interior designer. Edward Duran, from Instyle Estate Agents, says “It won’t be long before Throsby will be the most sought after suburb in Gungahlin due to the consistency of quality homes, infrastructure, greenery and high end developments such as these. Potential buyers can now learn more about the Tempo Collective via the 3 Property Group website. For more information about the Tempo Collective, visit 3 Property Group.